Features: Lightweight, quiet pointe, wide pleatless toe platform, non-slip leather sole, low crown, pre-arched, medium vamp, and minimal break-in. Best suited to the less-full foot with square to slightly tapered toes. Free ribbon and elastic. Details: Rubin (“ruby”) glows and captivates with rich, lustrous elegance. The stellar versatility of this amazing pointe shoe has given Rubin unsurpassed popularity among discerning ballerinas. The low crown, wide platform size and slightly tapered box combine to suit a variety of foot shapes, while the pleatless platform gives a polished finish. Pliable, long-lasting shanks support with grace, and Russian Pointe’s revolutionary pre-arched construction mimics the shape of the foot on pointe, to highlight the arch while facilitating pointework and minimizing break-in. Features: Lightweight, quiet, pleatless toe platform, non-slip leather sole, low crown, medium toe platform, fuller heel shape, and medium vamp. Best suited to the less-full foot with moderately tapered toes. Free ribbon and elastic. Details: Like its namesake gem, Almaz (“diamond”) sparkles with crystalline beauty, flattering the foot with the clean lines of a pleatless toe platform and sleek heel, and pliable, long-lasting shanks. 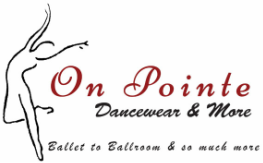 The medium platform size and somewhat tapered box are ideally suited to dancers with moderately tapered toes, and the low crown hugs toes that are shallow to moderately full. Features: Stable toe platform, low crown, slightly more room in heel, pre-arched, minimal break-in, and medium vamp. Best suited for even-length toes and shallow to slightly full feet. Free ribbon and elastic. Details: Bask in the glow of the spotlight in Lumina, all eyes on your dazzling technique. With the pliable shanks, pre-arched construction and exquisite appearance of the Spotlight Collection, Lumina features a very slightly tapered box with a medium crown and wide toe platform, and a generous heel. Dancers most likely to choose Lumina have even-length to slightly tapered toes, and consistency in width from the metatarsal area to the heel (“rectangular” foot). Features: Medium toe platform, high crown, v-cut medium vamp without drawstring, and pre-arched. Best suited to diamond foot shape with moderate fullness and moderately tapered toes. Free ribbon and elastic. Details: Make a glowing impression in Entrada Pro, the exquisite marriage of the classical masterpiece Entrada with the glittering new features of the Spotlight Collection. Created on the original Entrada last, Entrada Pro features pre-arched construction, a medium-high crown and a medium platform, best suited to dancers with moderately tapered toes and some fullness in the instep or toes. The Spotlight Collection’s pliable shanks and range of six widths and two vamp shapes give Entrada Pro updated style and versatility.